Among the first tests performed in a comprehensive eye exam are visual acuity tests that measure the sharpness of your vision. These usually are performed using a projected eye chart to measure your distance visual acuity and a small, hand-held acuity chart to measure your near vision. A screening test that checks your color vision often is performed early in a comprehensive eye exam to rule out color blindness. In addition to detecting hereditary color vision deficiencies, color blind tests also can alert your eye doctor to possible eye health problems that may affect your color vision. Your eye doctor may perform this test early in the eye exam to obtain an approximation of your eyeglasses prescription. In retinoscopy, the room lights will be dimmed and you will be given a large target (usually the big “E” on the chart) to fixate on. As you stare at the “E,” your eye doctor will shine a light at your eye and flip lenses in a machine in front of your eyes. Based on the way the light reflects from your eye, your doctor is able to “ballpark” your prescription — sometimes right on the money! This test is especially useful for children and patients who are unable to accurately answer the doctor’s questions. While there are many ways for your eye doctor to check how your eyes work together, the cover test is the simplest and most common. The cover test checks how well your eyes work together to focus on an object. During a cover test, your eye doctor will have you focus on a small object across the room and then he or she will cover each of your eyes alternately while you stare at the target. While doing this, your eye doctor will assess whether the uncovered eye must move to pick up the fixation target, which could indicate strabismus or a more subtle binocular vision problem that could cause eye strain or amblyopia (“lazy eye”). The test is then repeated up close. Based on your answers, your eye doctor will continue to fine-tune the lens power until reaching a final eyeglass prescription. The refraction determines your level of hyperopia (farsightedness), myopia (nearsightedness), astigmatism and presbyopia. The slit lamp is an instrument that the eye doctor uses to examine the health of your eyes. The slit lamp, also called a biomicroscope, allows your eye doctor to get a highly magnified view of the structures of your eye to thoroughly evaluate your eye health and detect any signs of infection or disease. During this test, your doctor will have you place your chin on the chin rest of the slit lamp and will then shine the lamp’s light at your eye. The doctor looks through a set of oculars (much like a microscope in a science lab) and examines each part of your eye in turn. 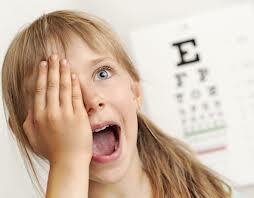 He or she will first examine the structures of the front of your eye (lids,cornea, conjunctiva, lids, etc.). Then, with the help of a special high-powered lens, your doctor will view the inside of your eye (retina, optic nerve, macula and more). To obtain a better view of the eye’s internal structures, your eye doctor instills dilating drops to enlarge your pupils. 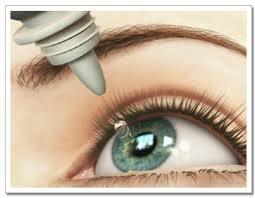 Dilating drops usually take about 20 to 30 minutes to start working. When your pupils are dilated, you will be sensitive to light (because more light is getting into your eye) and you may notice difficulty focusing on objects up close. These effects can last for up to several hours, depending on the strength of the drop used. In some cases, your eye doctor may want to check for the possible presence of blind spots (scotomas) in your peripheral or “side” vision by performing a visual field test. These types of blind spots can originate from eye diseases such as glaucoma. In some cases, besides these common tests performed during a standard comprehensive eye exam, your eye doctor may recommend other, more specialized eye tests. 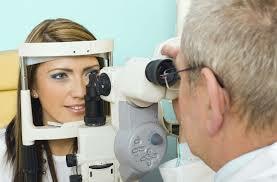 Often, such tests are performed by other eye doctors, such as retinal specialists, on a referral basis. As we have continued to make changes to improve your eyecare experience, we have found that knowing about your unique visual needs and personal eye and health history even before you come to the office helps us serve you better. Please use our secure online submission process and Patient Portal before your appointment. You will benefit if we have some foreknowledge of your visual needs and history. Your complete health history including family history of any major eye diseases such as macular degeneration, glaucoma and cataracts. A list of any eye injuries or eye diseases you have had. A list of the medications you currently are taking and any drug reactions or allergies you have experienced. It is also valuable to know any herbal and over- the-counter medications you are taking. A list of any concerns you have about your eyes or vision. We have found that by having this information before your actual exam we can spend more time focusing on your unique visual needs and discussing treatment options and solutions. If you have done personal internet research, we also encourage you to share with us the sources before your appointment so that we can attempt to review these before your visit.